famous quote from Batman's Bob Kane little known cartoon Courageous Cat and Minute Mouse! Dumb Villains! "I Like Bananas!" 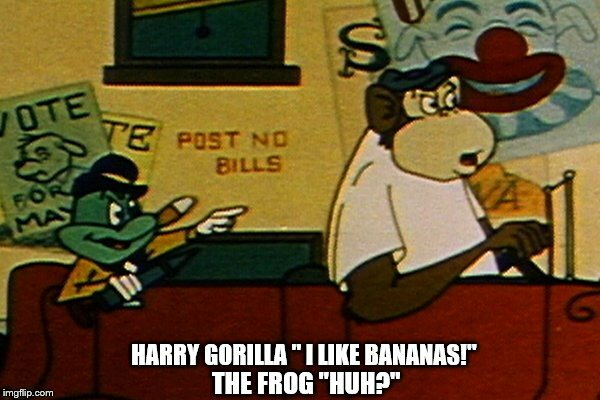 HARRY GORILLA " I LIKE BANANAS! "; THE FROG "HUH?"